A qingbai porcelain bowl, the very thinly potted, deeply rounded sides rising from the footless base with concave centre and ending in a straight rim. The exterior of the bowl is carved with a crosshatched design, imitating a basket weave pattern. 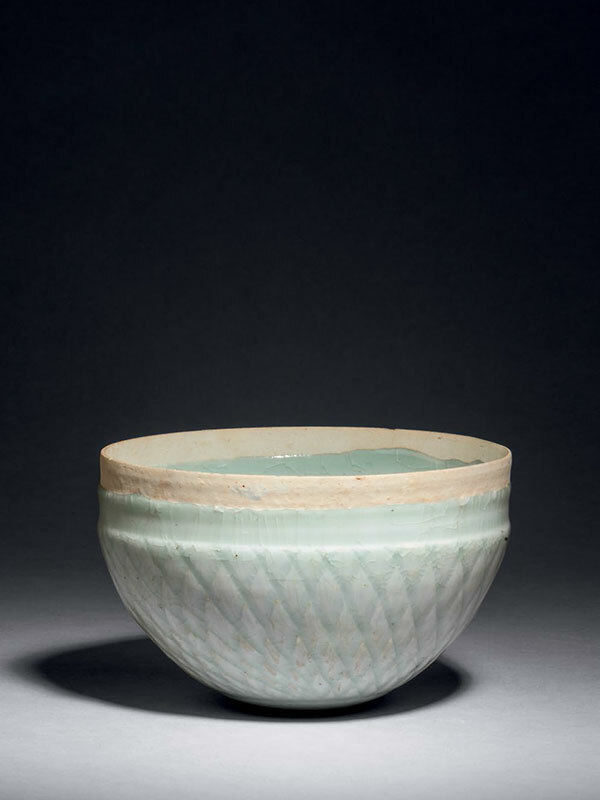 The bowl is covered in a transparent glaze of even, pale blue hue that pools to darker tone in the crevasses. The rim of the bowl is wiped clean of glaze, showing the very fine white porcelain body.